I join the entire world of admirers, supporters and fans of the greatest boxer that ever lived, Muhammad Ali, in expressing my condolences to his family and in declaring my sense of loss and mourning upon learning of his passing. Ali’s accomplishments in and out of the ring are legendary. He was a magnificent and talented pugilist who changed the sport of boxing forever. He is rightly credited with paving the way for the large purses that many top tier fighters earn today. And he broadened the appeal of boxing making it a universally popular sport as a result of his unusual confidence, media magnetism and unimaginable ability as a knock-out artist. 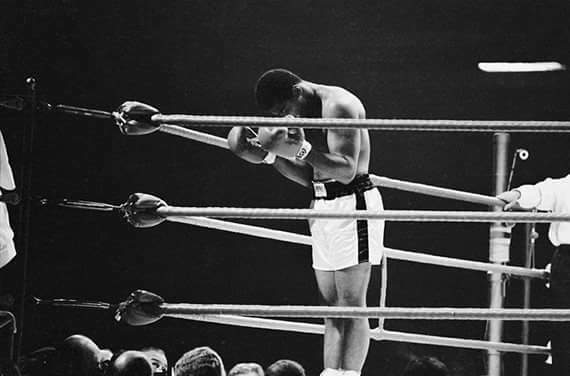 Many writers, commentators and analysts will and are expressing themselves in articles or on-air appearances devoted to the remembrance of Muhammad Ali, but so far I have not found any that speak for me. So I must speak for myself. 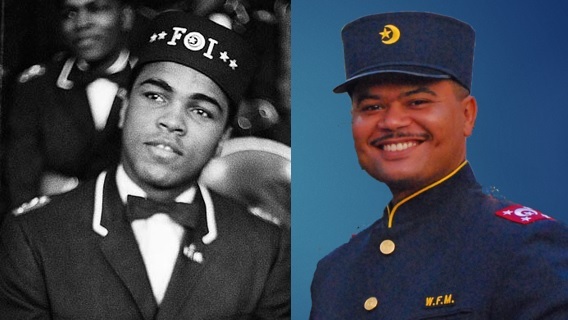 I never met the great champion, but I feel a connection to him because many years before me Muhammad Ali became a student of the Most Honorable Elijah Muhammad’s teachings and a member of the Nation of Islam. 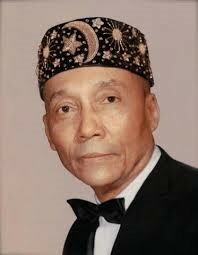 And like myself, he served as a member of the Nation of Islam’s male class known as the Fruit of Islam. Also, like myself he served as a student minister in the Nation of Islam representing the teachings to mosques and public audiences throughout the country. He grew up in Kentucky. I grew up also in the South in Mississippi. In the magnificent documentary devoted to his life and struggle against the U.S. government’s conscription of servicemen into the war in Vietnam, I learned more about his life growing up in Lousville, Kentucky. One aspect that grabbed my attention is the segment that talks about his mother’s objection to him becoming a Muslim. I also experienced the same consternation and objection of me joining the Nation of Islam at 15 years of age by my mother who had been rearing me in the Baptist church. So, despite never having an in person interaction with a man that I consider my “big brother” in Islam, I feel a sense of closeness to him. I feel connected to him. And I feel a sense of personal loss knowing that his physical presence is no longer in the world. Even though, his beautiful children carry their father’s physical likeness in such a wonderful way that to see them is to really see him over and over again. Again, I have not heard any commentators speak for me. By that I mean that none have expressed either what I feel or shown forth an analysis that harmonizes with what I think is important to highlight at this time. 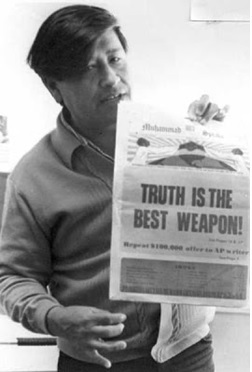 The closest was the strong words of historian Zaheer Ali on MSNBC. ( http://www.msnbc.com/am-joy/watch/the-controversy-behind-ali-s-change-in-religion-699053123895). I also enjoyed and agreed with much of what Maxwell Strachan wrote in his Huffington Post article Don’t Let Muhammad Ali’s Story Get Whitewashed (http://www.huffingtonpost.com/entry/muhammad-ali-reparations_us_575309c6e4b0c3752dcdd07f ). So that only means that I have to speak for myself and in so doing, speak for the many others who feel as I feel. Specifically obvious to those of us who share Ali’s faith in Islam is the crafty strategy to portray him as an enigma and exception to the rest of Muslims. For sure, the talent that Allah(God) blessed him with from birth was and is exceptional. Yet raw talent and raw materials of any kind remain “in the raw” and remain un-cultivated unless there is someone to develop them and extract them from a raw state so that their beauty and value may be known. Such is the case with human beings. So much so that it has been suggested that the greatest travesty in the world today is the enormous waste of human potential. In Muhammad Ali’s rise as an athlete and as a trailblazer of the athlete-activist archetype, there is one man that is conspicuously absent from all recent conversations. This man is largely responsible for the cultivation and development of the man who went from being Cassius Marcellus Clay to Muhammad Ali. 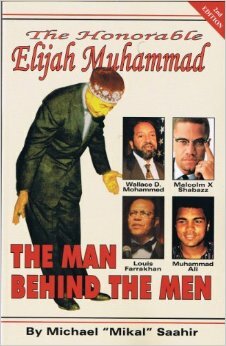 That man that is routinely hidden and omitted from conversations about Black history and achievement, as if he never existed, is the Most Honorable Elijah Muhammad. I could go on and on. But this is just a small introduction to the magnificent man who is at the root of the great boxing champion and activist Muhammad Ali. Ali loved the most Honorable Elijah Muhammad for what he did for him in his life and trajectory that propelled him onto the world stage. 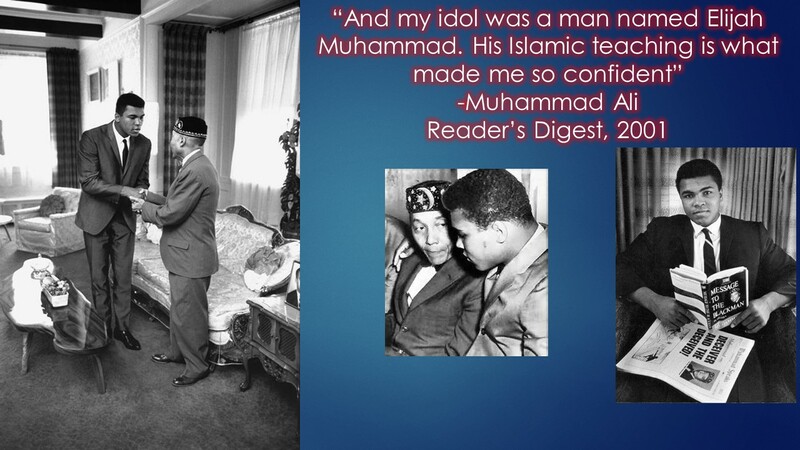 Now if that list does not drive home the importance of the Most Honorable Elijah Muhammad on the life and success of Muhammad Ali, let’s consider some of Ali’s own glowing words about his beloved teacher. In the excellent documentary The Trials of Muhammad Ali there is a section where his love for orange juice is discussed. And Ali is certainly not alone in loving orange juice. And it only makes sense to me that if one love’s orange juice, one must love the orange that produced the sweet vitamin rich juice. And it logically follows that if one loves oranges, one must love the orange tree that produced the oranges that produced the golden pulp-filled nutritious orange juice. Perhaps this kind of logic should be applied in the case of Muhammad Ali and his beloved teacher the Most Honorable Elijah Muhammad. Because it don’t make sense to love the student and hate the teacher that produced the student. 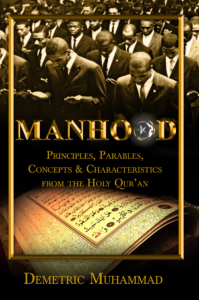 Previous PostPrevious Imam Michael Saahir Wrong On Minister Farrakhan…again!